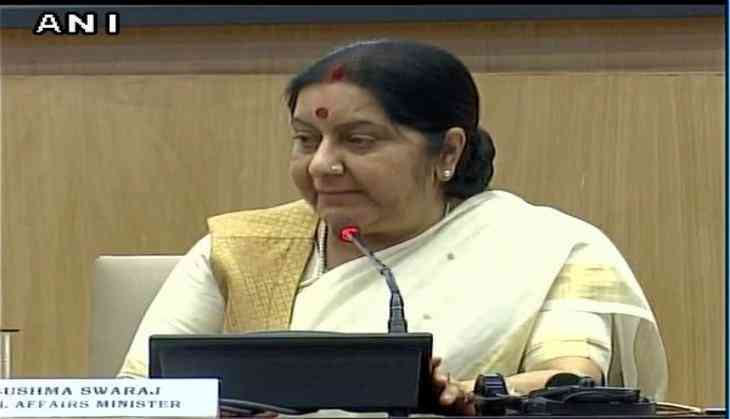 Two days after a suspected Chinese helicopter was sighted flying above Indian territory in Chamoli district of Uttarakhand, External Affairs Minister (EAM) Sushma Swaraj on 5 June assured that the Indian Government will raise the issue with China. "This is the first such air space violation. We can understand even ground incursion as it can be a mistake. But this is unacceptable. We will take it up with Beijing," Swaraj told the media here in a press briefing. However, China has defended the People's Liberation Army (PLA) helicopters over Chamoli district, saying India and China have a territorial dispute in the eastern section of their boundary and the Chinese military have been carrying out regular patrolling in the relevant areas. Earlier on 3 June, a suspected Chinese helicopter was traced at around 9.15 a.m close to Sino-India border. Superintendent of Police (SP) Chamoli Tripti Bhatt told ANI, "The helicopter violated Indian airspace for over three to five minutes". The violation, whether intentional or unintentional, has compelled the authorities to launch an investigation.